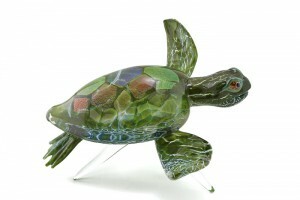 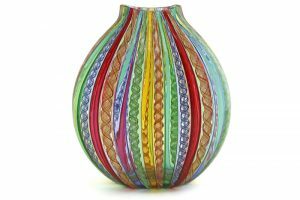 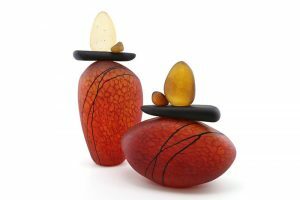 Kenny Pieper is a glassblower producing an exquisite line of glass vessels and sculpture in North Carolina. His series of cane goblets are exuberant and playful. 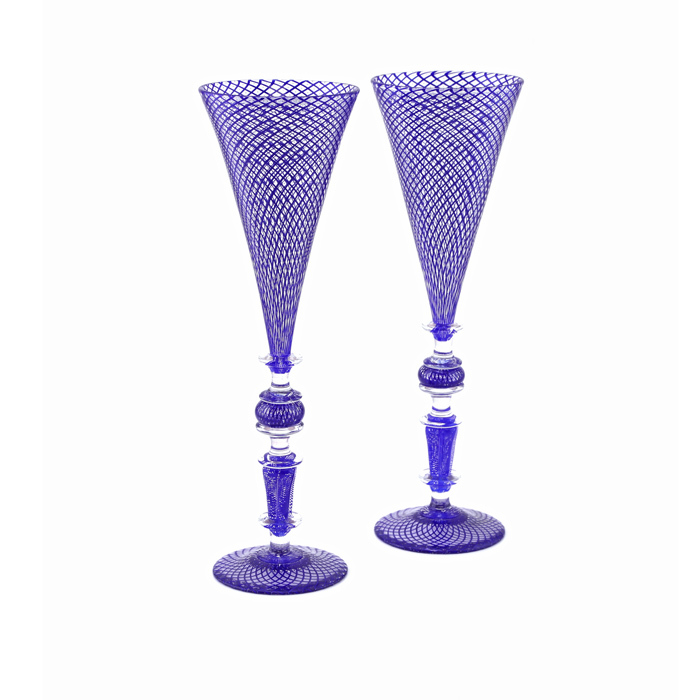 Employing traditional cane techniques, Pieper creates geometric intricacies in an array of colors. 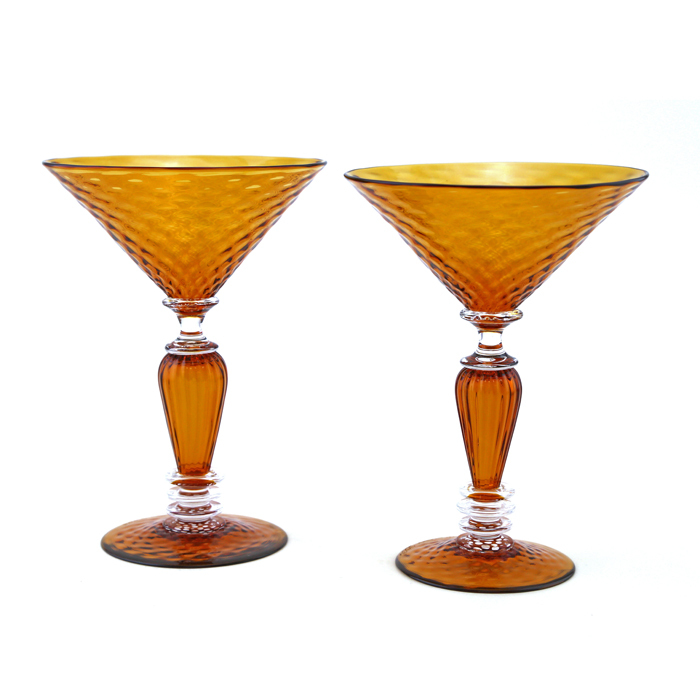 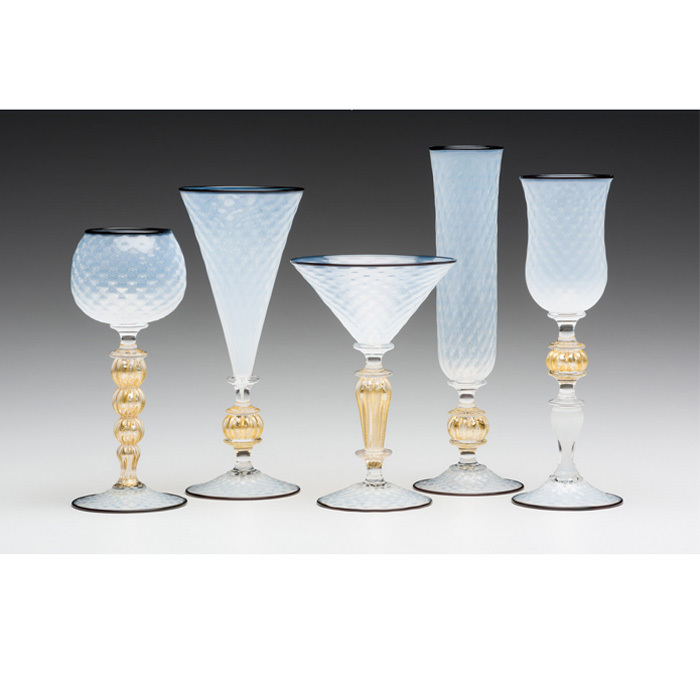 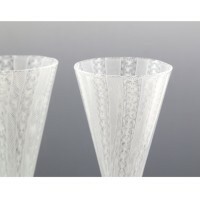 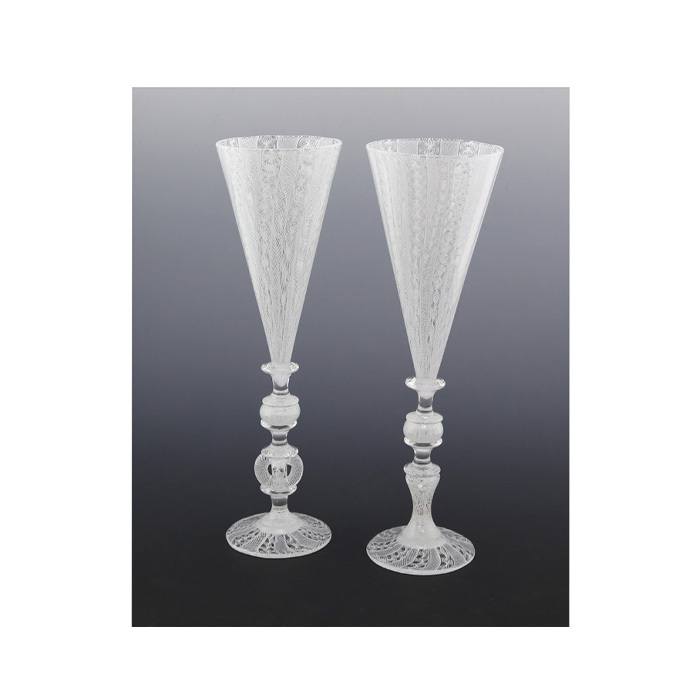 The goblets are elegant, cheerful and would enliven any celebration.